The UK pharmaceutical giant GlaxoSmithKline (GSK) has been put on the stand, alleged for taking bribes, and other forms of misconduct, in the field of medical devices and pharmaceuticals. Senior executives are accused of both taking and offering bribes in order to promote sales and raise retail prices for its products. As soon as the allegations toward GSK took off, sales decreased with almost 60 percent and the question of whether GSK will remain in China or not seems to be justifiable. Speculations have been many, all of which GSK President Sir Andrew Witty declines. “There is no question about our commitment to China,” he says, continuing with, “It is a critically important country of the future. 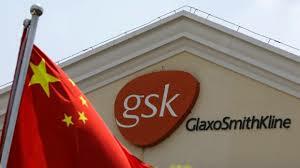 We are absolutely committed to work with the authorities, get through the investigation, find out what’s happened, and take the actions necessary.” Analysts believe that GSK will stay in China regardless of the outcome of the ongoing case due to China’s huge investment possibilities and growth opportunities, and the fact that GSK already invested a lot in the country. The drug market in China is foreseen to be the second largest in the world by 2020, aiming at becoming the largest in the world in the near future, and GSK would not want to miss such an opportunity. It is clear that China wants to make a stand against bribery and that the anti-bribery laws against foreign companies are getting stricter and more enforceable. The case of GSK has also been a good example for the Chinese government to show that the rising costs of pharmaceuticals and medical devices was due to criminal misconduct rather than ordinary market competition. It is even said that China wants to state an example of a high-profile foreign owned company, whether or not the accusations are true. The case of GSK will according to experts serve as a wake-up call for other foreign enterprises that are engaged in similar unlawful activities that GSK is accused of. Regardless of the outcome of the case, China has shown that it takes bribery seriously and is warning other foreign companies to follow the same path.